Camp Photo is a summer workshop for high school students ages 15-18 who want to experiment with their photographic visions. CAMP PHOTO is a great way to explore your talents, build on your portfolio and learn more about career possibilities in the photographic industry. This summer's program is for high school students who are looking to immerse themselves in the world of digital and black & white photography. We are offering two introductory level camps and one advanced camp, each will be offered in both July and August. This exciting course is designed to help young photographers understand how to use their digital SLR and Adobe Lightroom to capture, organize, develop and print high quality images. After a basic overview of exposure, lenses and composition, students will quickly learn how to use Lightroom as their "digital darkroom". Daily creative shooting assignments will challenge students to think beyond the obvious and approach their picture-making more artistically. At the end of the week, each student will leave the course with a beautifully printed portfolio of their best work, as well as an online gallery to share with their family and friends. Even in our thoroughly digital world, many photographers are rediscovering the uniquely satisfying process of working with traditional black and white film and paper in the chemical darkroom. This course helps students learn how to expertly expose, develop and print their photographs using manual film cameras and traditional black and white materials. Ultimately, the knowledge gained in the darkroom will make young photographers much better at their craft, regardless of whether they work traditionally or digitally. The perfect follow-on to Creative Digital Capture and Workflow (or for anyone with a solid understanding of basic camera and Lightroom skills), this course introduces students to the world of creative digital imaging. Working with the instructor in the studio, on location and in NESOP's state-of-the-art Digital Lab, students will discover what can happen when they combine their imagination with the limitless creative options made possible by Adobe Photoshop. Students will gain valuable imaging skills, from basic retouching to more sophisticated composite photo illustration. For their final project, each student will conceptualize, create and print a unique, high quality fantasy image. 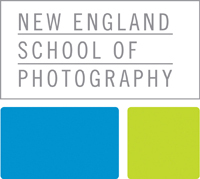 Want More Information about New England School of Photography: Camp Photo Workshops? Your request will be sent directly to New England School of Photography. By submitting this form I confirm that I am at least 13 years of age and give my consent to be contacted by New England School of Photography by email as well as by phone and/or mail (if provided).